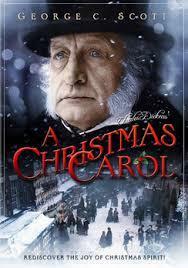 I'd like a nickel for every adaptation of this Dickens masterpiece that has been filmed at one time or other. 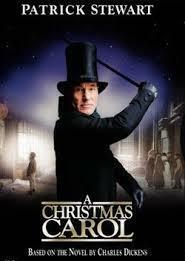 and 1999's A Christmas Carol starring Patrick Stewart. 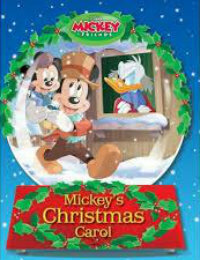 There have also been numerous versions starring everyone from Mickey Mouse to Mr. Magoo. 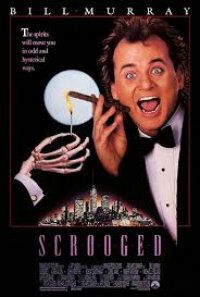 Then there are the ones played for comedy like The Muppet's Christmas Carol (with Michael Caine) and Scrooged starring Bill Murray. 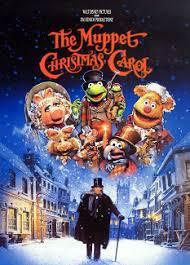 We all have our favorite Christmas films (especially classic film lovers). 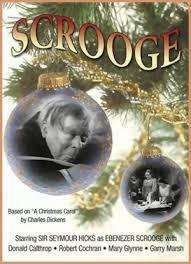 For some it's "It's a Wonderful Life", for others, "Holiday Inn" or "A Christmas Story". 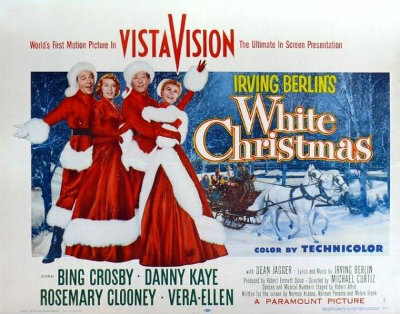 Mine has always been "White Christmas". 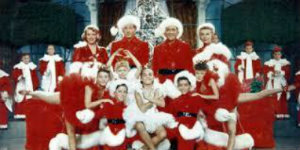 Maybe it's because being a child of the fifties, I have always equated Bing Crosby with Christmas. 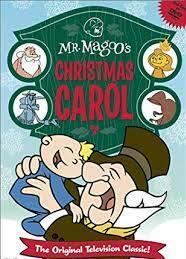 I loved his Christmas music, his Christmas specials on TV, all of it. Maybe the reason is because the film is visually beautiful. 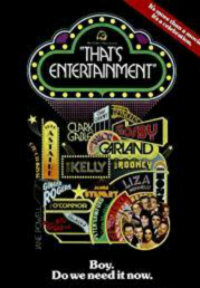 All musicals should be in color. This one was particularly colorful. 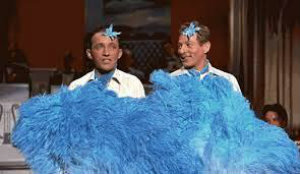 Maybe it's Irving Berlin's wonderful songs. Maybe it's the wonderful cast. 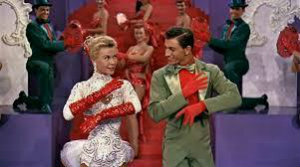 Besides Bing there is Danny Kaye, Rosie Clooney and the wonderful Vera Ellen. (I loved Vera. As a teenager I was 5'10" and weighed just over 100 pounds. If she was beautiful that skinny, there was hope for me.) It's probably all those things. The storyline was great too. 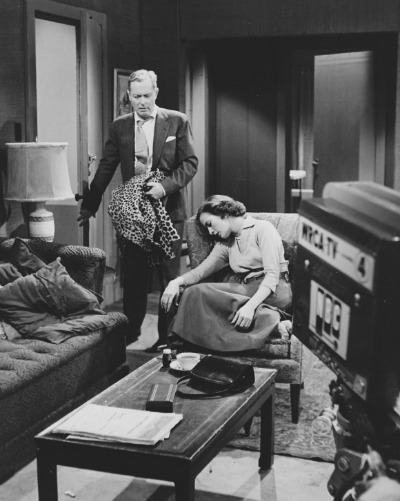 Two song and dance men and two beautiful talented sisters do a show to help the men's former commanding officer (played wonderfully by Dean Jagger) to bring business to his Vermont inn. 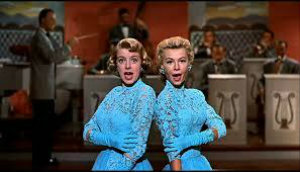 Of course, there are lots of songs and many dance routines (be sure to check out Vera Ellen's dance partner, John Brascia, such a talented dancer!) that showcases all the lead actors' many talents. And of course, there's romance. 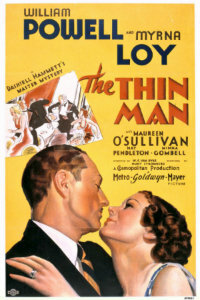 The two men are bound to fall for the two sisters. Of course they are. I'll be honest, one of the things I love most are the great comic quotes from the film. Examples: Phil Davis: My dear partner, when what's left of you gets around to what's left to be gotten, what's left to be gotten won't be worth getting, whatever it is you've got left. Bob Wallace: When I figure out what that means I'll come up with a crushing reply. Phil Davis: We wouldn't be any good as generals. Gen. Thomas F. Waverly: You weren't any good as privates. 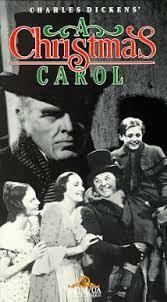 Phil Davis: [sighs] I don't know what he's up to, but he's got that Rodgers and Hammerstein look again. Betty Haynes: Is that bad? Phil Davis: Not bad, but always expensive. 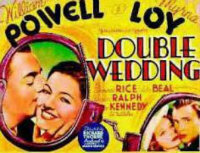 But my favorite has always been the one Bing says to Danny Kaye (Phil Davis) and Vera Ellen (Judy Haynes) after they fake an engagement to try to bring Bing (Bob Wallace) and Rosie Clooney (Betty Haynes) together. 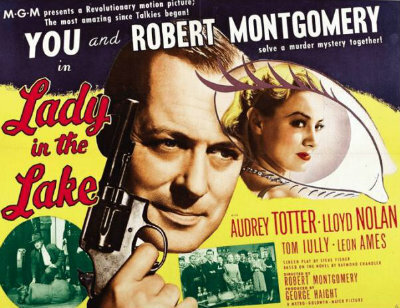 Bob Wallace: [to Judy] You outta consider yourself plenty lucky! You might have been stuck with this wierdsmobile for life! .......... So Funny!!! Do yourself a favor, if you haven't seen this gem, do so. 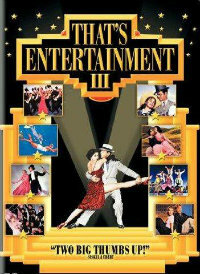 If you have, watch it again! 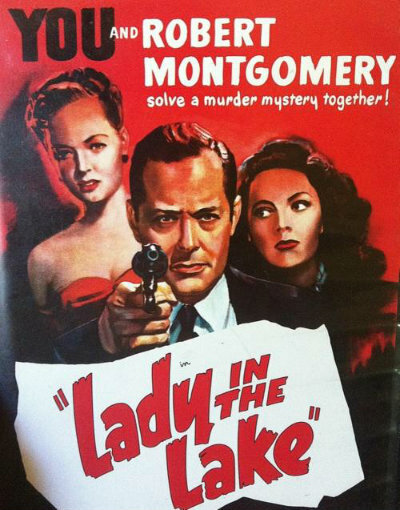 The last film Robert Montgomery made for MGM is an interesting one. 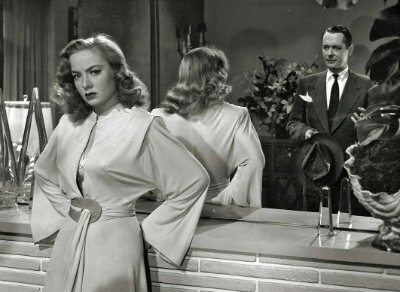 (I must admit, it is not my favorite Noir film Bob made, "Ride the Pink Horse" is my favorite). But, still an interesting film it is. 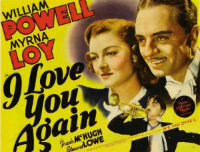 Montgomery not only starred in this one but directed it as well. 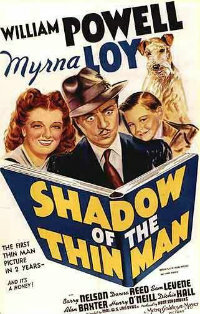 The entire film was shot in the viewpoint of the central character (Philip Marlowe, played by Bob). You are only allowed to gaze on that oh so handsome face when the character is looking in a mirror, or in the opening and closing scenes. The remainder of the story is seen through Marlowe's eyes. We see what he sees. 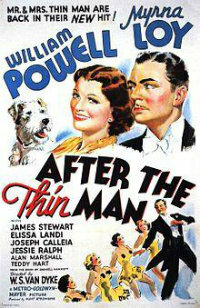 The film was adapted from a Raymond Chandler novel. 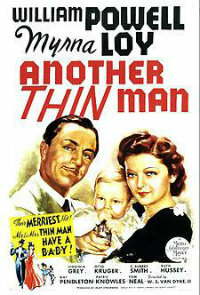 Chandler actually wrote a screenplay for the film in 1943, but a version written two years later by Steve Fisher was used. 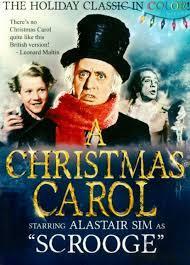 The film's timeline was changed from midsummer to Christmastime. 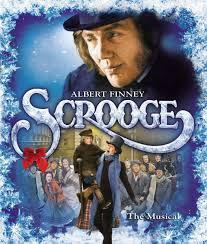 The holiday themes were an ironic contrast to the grim story line. 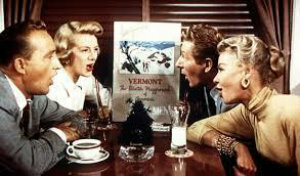 The opening credits are shown on a series of Christmas cards that supposedly are concealing a hidden gun. I'll admit I've never been able to find it. Photographs of the credits are hard to come by and not that clear. 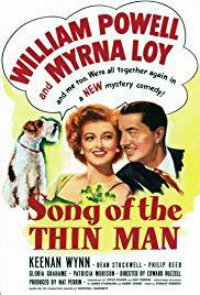 The film had a great supporting cast that included Audrey Totter, Lloyd Nolan, Leon Ames, Jayne Meadows and Tom Tully. If you have a chance, check it out. 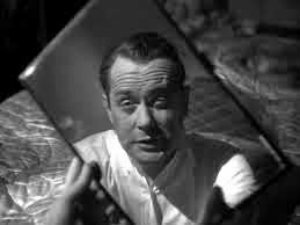 "The Maltese Falcon" it's not, but still very interesting and Robert Montgomery is much easier on the eye than Humphrey Bogart. Oh, by the way, most of the movie posters show Bob with brown eyes. This is a picky observation, but one that drives Kathy and me absolutely crazy. Here is a rare "Blue Eyes" poster. One of Bob's "Bests", Private Lives (1931), is being shown on demand on TCM. 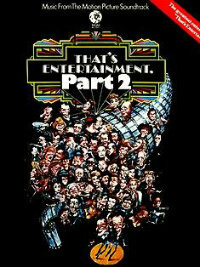 The broadcast time for it is 5:00 a.m. CST on the 17th, a tad too early for any movie for me. The knock-down, drag-out fight between Elyot and Amanda is definitely a classic. Bob and Norma had great fun practicing it, I'm sure. Bob banged his head preparing for the big fight, and may or may not have been knocked unconscious. 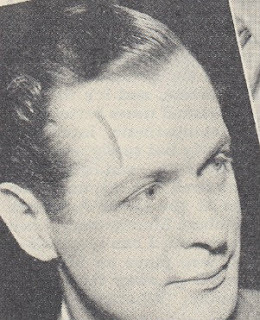 The clipping below reportedly shows the damage to Bob's noble forehead from the fight. Could be! We certainly lost a great man this week, so few like him remain. He was a kind and gentle man who still went all the way to the very top, the Presidency of the United States. To say that he was of a different time is so sadly true. George is back in Houston now. After 10:00 a.m. CST services at his church, St. Martin's Episcopal, he will be taken by train to his internment at the Presidential Library in College Station, Texas. The train will travel slowly through several small towns before arriving at Texas A & M at 3:45, with internment at 4:15. 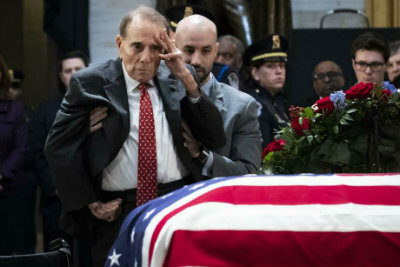 Presidents are required to plan out their state funeral when they first take office. One last job done well. Thanks, George. What Does Bob Have in Common with Alan Ladd, Robert Redford & Leonardo Dicaprio? Gosh, but I was excited when I first ran across this listing for Amazon Prime. 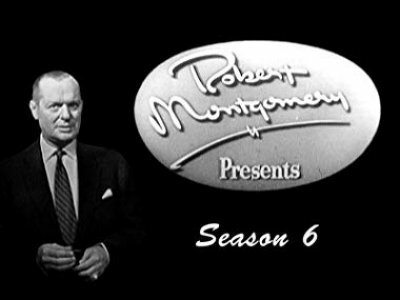 Season 6 of Bob's show, a season he acted in two of the episodes, and they actually have it for viewing. I mean, I had thought only a handful of his shows were even in existence. 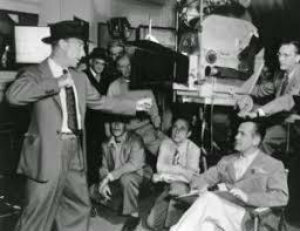 On Feb. 7, 1955, Bob portrayed alcoholic Bob Birnam in "The Lost Weekend", the role Ray Milland did so well in the 1945 movie version. A chance to see 50-year-old Bob meet the challenge of a live television performance ... just fantastic! 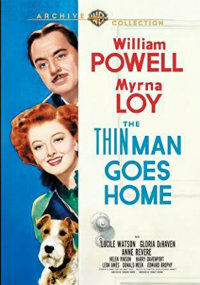 He also had the feature role in "The Great Gatsby" which was shown Feb. 7, 1955. Now that I'd really, really love to see. I mean, just how would his performance compare with the movies Jay Gatsbys: Alan Ladd, Robert Redford, and Leonardo Dicaprio. I'd put my money on Bob. But, then I scrolled down my computer screen and saw that "Season 6" at Amazon means two measly episodes. And, of course, neither of them have Bob in them. Oh, Shuckie Darns!